Welcome to The Equestrianista! 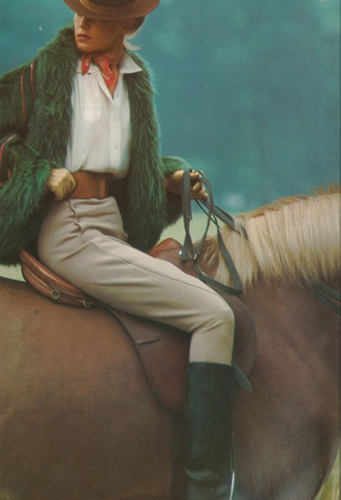 A Lifestyle Guide for the equestrian & country woman. There are lots of good finds here in this blog. The Equestrianista was originally created in 2012 to help equestrian woman take all the wonderful, amazing, items and products we have access to from the horse world and get a bit updated with the trends, feel good about yourself and shine from the inside out! -Fashion has always been influenced by horse and rider, now its time for the equestrianista in all of us to look great outside of the barn! If horses are such a part of our lives, we have acquired so many beautiful authentic pieces, and the “equestrian look” is always in style at any given time, then why do most of us spend very little time on how we look outside of the barn? Alot has changed since 2012 and now in 2019- The Equestrianista has evolved into more of a Lifestyle Guide- With an Australian flare, this remodeled blog now also includes easy yummy recipes, easy decorating tips, and ideas for Pony Girls & Horsey Moms. I hope you enjoy The Equestrianista and come here often.